While Peter Lanza has been portrayed in the media as a father who abandoned his child, by his account he was an involved parent who repeatedly tried to connect with his troubled son. The two were close when Adam was in elementary school, and his father describes him as “Just a normal little weird kid.” Peter and Nancy separated when Adam was 9, but he continued to see his two sons every weekend. Peter and Adam went on hiking trips together, watched old sitcoms, and talked about politics. As he grew older, Adam became interested in guns, World War II, and the military, but he was never violent and said nothing about mass murder. Adam’s problems became more pronounced when he entered middle school. “It was crystal clear something was wrong,” Peter said. “The social awkwardness, the uncomfortable anxiety, unable to sleep, stress, unable to concentrate, having a hard time learning, the awkward walk, reduced eye contact. You could see the changes occurring.” Adam was diagnosed with Asperger syndrome at 13, but Peter gets annoyed when people suggest that caused the massacre. “Asperger’s makes people unusual, but it doesn’t make people like this,” he said, adding that he thinks the diagnosis might have prevented them from recognizing another condition, such as schizophrenia. Nancy and Peter regularly communicated about Adam’s worsening condition, but Peter says, “I didn’t understand that Adam was drifting away.” In 2010, Adam refused to see his father or communicate with him, but Peter continued trying to set up visits. “I was hurt. I never expected that I would never talk to him again. I thought it was a matter of when,” he said. 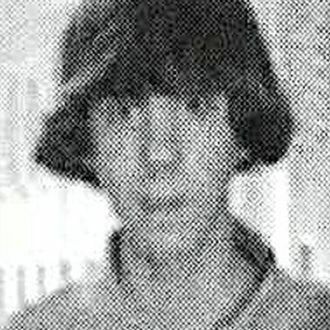 While the story sheds light on Adam Lanza’s upbringing, it only underscores that we’ll never know why he did it – and as Solomon puts it, “no ‘motive’ can mitigate the horror of a bloodbath involving children.” Now we can point out what Adam’s parents should have done differently, but Peter’s most chilling revelation is that both he and his ex-wife loved their son and were trying to do what was best for him. “I want people to be afraid of the fact that this could happen to them,” Peter said.